Some of the reinforcement rods on top of the bridgeâ€™s centre had become exposed as the asphalt covering them had been eroded. The 40-year-old bridge links Nigeriaâ€™s premier port to both the Lagos Mainland and Island. â€œIt is my pleasure to open this bridge in the name of God the Father, Son and Holy Spirit. Today we are having a new bridge as well as a new access road. So, hopefully gridlock will end here,â€ he said. 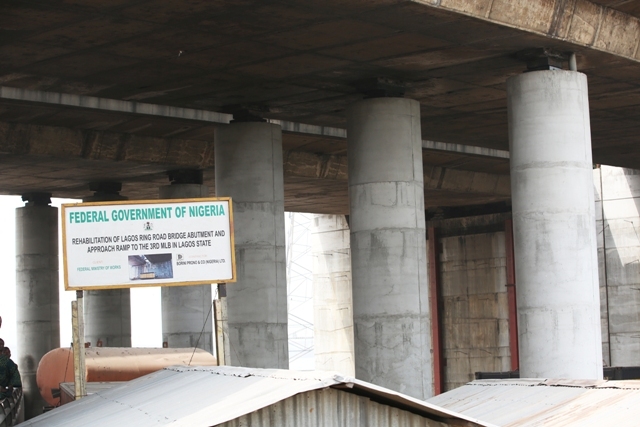 The Federal Controller of Works in Lagos, Mr Adedamola Kuti said that the bridge was damaged in 2016 due to â€œactivities of some miscreants living under the bridgeâ€™â€™. â€œWhen the contractor came on board and removed the slab, that is the deck that got damaged, we discovered that the beams carrying the weight of the slab itself had been affected by the fire. â€œSo, there was no way we could go ahead with the replacement of the slab, other than for us to start from the beams. So we had to produce new distress beams, and then, of course, the slabs. â€œAnd we have also done the surfacing of the other adjoining slab close to the damaged one,â€™â€™ he said. He thanked residents for their patience during the period of closure of the bridge and pledged Federal Governmentâ€™s commitment to continued maintenance of all the roads and bridges in Lagos. â€œWe have completed the Adeniji Adele bound, we are working on the Mainland bound. So the repair works on the Third Mainland will start very soon because our materials are on the way,â€™â€™ he said. Speaking on the newly installed beams on the Apapa/Leventis Bridge, Mr Thomas Balzuweit, Julius Bergerâ€™s Regional Manager, said that experts were used to get â€œa comprehensive design study to get high quality materialsâ€œ.